Files with the extensions mdf and iso contain data from optical media that are copied with high accuracy. They are called disk images, implying that the entry of not only information stored on the disk, but the detailed structure (topology) of its placement. 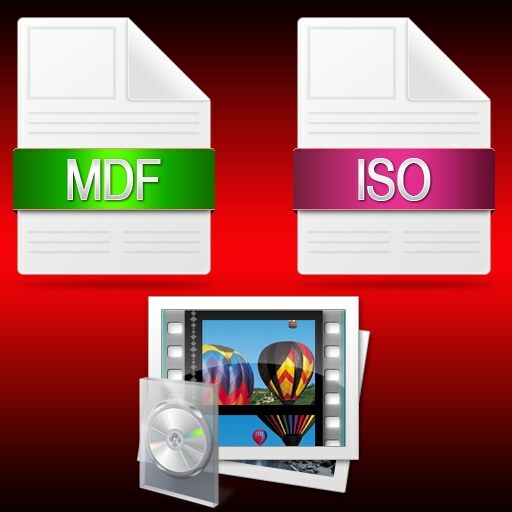 The mdf format developed by the manufacturer of the program called Alcohol (Alcohol Soft Development Team), and the iso format corresponds to the international standard ISO 9660 file system for optical media. If you only need to access the contents of the disk image in mdf format when there is no application that is designed to work with files of this extension, you simply change its extension. To produce this operation is exactly the same as renaming any other file format. In Windows you should run Windows Explorer - press the key combination Win + E or double-click the shortcut to "Computer" on the desktop. Navigate to the folder containing the mdf file, using the directory tree in the left part of the interface of a file Manager. If the handler only displays the file names, hiding their extensions, then change the appropriate setting. To do this in Windows 7, first open the drop-down list, "Sort", located above the directory tree, and select "folder Options and search". Then go to the View tab and in the list of "advanced settings" find the line "Hide extensions for known file types". Remove the checkmark in this line and press the OK button. Right click the. mdf file and click the string "Rename". Then press the End key to move the input cursor to the extension, and replace it with iso. Press Enter and the procedure of renaming mdf to iso is complete. Access to the contents of the renamed disk image can be obtained, for example, using the popular archiver WinRAR. However, keep in mind that you will not be able to use the iso file as a disk image, but only as regular files. If you want not just to change the extension mdf file, but to recode its contents in iso format, preserving all the information from the source optical disc, you will need the appropriate application. This can be done, for example, using the program UltraISO or specialized utility MDF2ISO. By installing the app, find and activate the interface for the appropriate option. This procedure usually requires considerable time (up to hours), as this is a first extract the disk image of the files mdf and mds, and then packing it into an iso file. But the result is a complete image of the original media that can be used for recording on the medium, and to mount the virtual optical disk.